I have a background in Physics and Computer Science with an applied focus and I enjoy looking at cross-disciplinary applications. These are where the really interesting developments tend to happen. This has lead to a broad range of experiences. My initial interests were in silicon nanomaterials and photovoltaic devices where I was fortunate enough to have exposure to high grade research equipment that allowed my to fabricate and characterise silicon nanowire based photovoltaic devices. Along with a shift to teaching Engineering (Renewable and Industrial Computer Systems) my focus has shifted more towards PV sytems and their performance and reliability on a larger scale. In conjunction with this I also do work on the effective use of light in microalgae cultivation. I am also a qualified UAV pilot (Remote Pilots License) and am involved with drone work at Murdoch. I teach across the discipline primarily in Renewable Energy Engineering, Industrial Computer Systems Engineering and Energy Studies. The teaching areas are focused primarily on solar energy (ENG337 Applied Photovoltaics, ENG441 Solar Thermal and Biomass) and industrial computer systems (ENG321 Instrument and Communication Systems, ENG448 SCADA and Systems Architecture). I also teach aspects of photovoltaics and solar thermal systems throughout the Energy Studies program. I have the pleasure of supervising a number of Honours and project students each year. These projects are designed with the student in the fields of renewable energy, instrumentation and robotics. They are often designed to either fit in with existing large research projects or to investigate a new or developing area. I have a range of research interests ranging from solar modules and systems, to microalgae cultivation and UAV operations. My interests in photovoltaics include the development and production of solar cells and other optoelectronic devices from amorphous silicon, silicon nanowires, nanomaterials, nanostructures and other novel materials. I am also interested in thin film coatings and associated deposition or growth techniques such as chemical vapour deposition, pulsed chemical vapour deposition and other techniques. As part of this research I’ve successfully produced a thin film solar cell that used silicon nanowires as one of the active components. 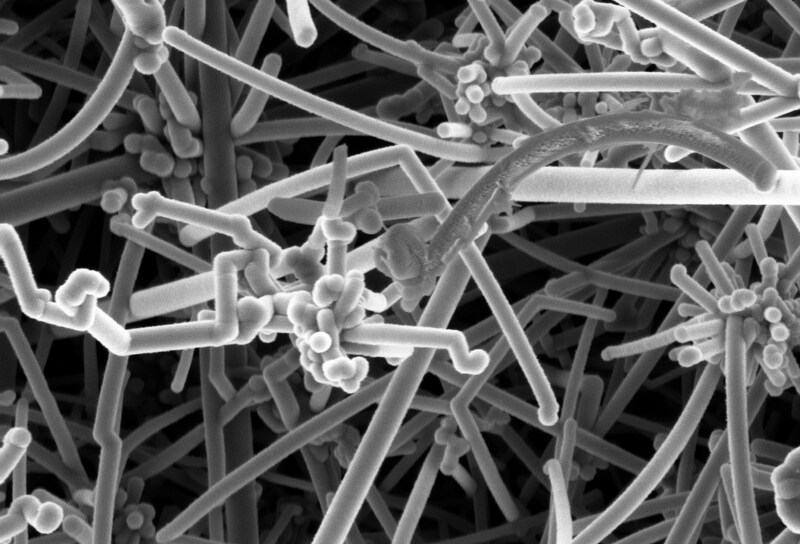 The image below is a scanning electron micrograph of one of the nanowire based solar cells. More recently I have been interested in quality assurance and fault detection in solar panels through various electrical and optical methods. This lets us see how solar panels are performing in the field and how sensitive they are to manufacturing defects or weathering. The image below shows a spatial map of the power output of a small solar panel. As part of this work in quality assurance, fault diagnosis and testing of PV modules I am also actively involved with the International Energy Agencies’ Photovoltaic Power Systems (IEA PVPS) Task 13 project. The overall objective of Task 13 is to improve the operation, reliability and, consequently, the electrical and economic output of photovoltaic power systems and subsystems. A further line of research I am following in collaboration with Murdoch’s Algae R&D group is the efficient use of the solar spectrum for the co-production of biofuel and electricity. This work also involves the careful application and direction of light so as to maximise the growth potential of microalgae.Microalgae have a range of applications, from food to fuel and would benefit from increase growth rates and productivity. This work aims to improve this productivity as well as reduce operating costs of microalgae farms or systems. If you are interested in any of these areas of research please feel free to contact me. 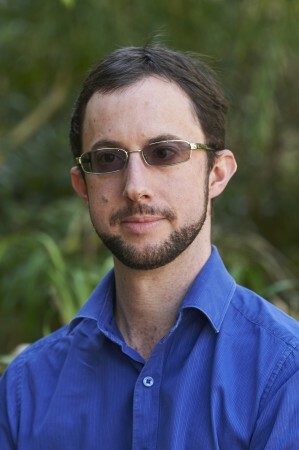 I am currently involved in a joint research project on “Climate Based Photovoltaic System Performance & Reliability” coordinated by the Australian PV Institute with the U.S. National Renewable Energy Laboratories (NREL), University of NSW, the Centre for Appropriate Technology in Alice Springs, and the Clean Energy Council. This project will provide a high quality PV performance database containing location-specific technical, operational and performance data. Data will be collated from a variety of representative locations across Australia. The project contributes to the International Energy Agency Photovoltaic Power Systems Task 13: Performance and Reliability of PV Systems and the International PV Module Quality Assurance Task Force through advice on and development work towards monitoring guidelines and a climate based PV module rating scheme. The project is funded by Australian Renewable Energy Agency. Mr Mohammadjavad Raeisossadati who has started his PhD on “Light distribution system for sustainable microalgae production”. Parlevliet, D., Moheimani, N., (2015),Potential of Converting Solar Energy to Electricity and Chemical Energy,In: Biomass and Biofuels from Microalgae: Advances in Engineering and Biology, Springer, pages 311 to 329. Raeisossadati, M., Moheimani, N., Parlevliet, D., (2019), Luminescent solar concentrator panels for increasing the efficiency of mass microalgal production,	Renewable & Sustainable Energy Reviews, 101, , . Nwoba, E., Parlevliet, D., Laird, D., Alameh, K., Moheimani, N., (2019), Sustainable phycocyanin production from Arthrospira platensis using solarcontrol thin film coated photobioreactor,	Biochemical Engineering Journal, 141, , . Ishika, T., Moheimani, N., Arabzadeh Bahri, P., Laird, D., Blair, S., Parlevliet, D., (2017), Halo-adapted microalgae for fucoxanthin production: effect of incremental increase in salinity,	Algal Research: biology, biomass and biofuels, 28, , pages 66 - 73. Shahnazari, M., Arabzadeh Bahri, P., Parlevliet, D., Minakshi Sundaram, M., Moheimani, N., (2017), Sustainable conversion of light to algal biomass and electricity: A net energy return analysis,	Energy, 131, , pages 218 - 229. Shahnazari, M., Arabzadeh Bahri, P., Parlevliet, D., Minakshi Sundaram, M., Moheimani, N., (2017), Sustainable conversion of light to algal biomass and electricity: A net energy return analysis,	Energy, 131, 2017, pages 218 - 229. Vadiveloo, A., Moheimani, N., Cosgrove, J., Parlevliet, D., Arabzadeh Bahri, P., (2017), Effects of different light spectra on the growth, productivity and photosynthesis of two acclimated strains of Nannochloropsis sp.,	Journal of Phycology: an international journal of algal research, 28, , pages -. Vadiveloo, A., Moheimani, N., Kosterink, N., Cosgrove, J., Parlevliet, D., Gonzalez-Garcia, C., Lubian, L., (2016), Photosynthetic performance of two Nannochloropsis spp. under different filtered light spectra,	Algal Research: biology, biomass and biofuels, 19, , pages 168 - 177. Vadiveloo, A., Moheimani, N., Alghamedi, R., Cosgrove, J., Alameh, K., Parlevliet, D., (2016), Sustainable cultivation of microalgae by an insulated glazed glass plate photobioreactor,	Journal of Biotechnology, 11, 3, pages 363 - 374. Vadiveloo, A., Moheimani, N., Cosgrove, J., Arabzadeh Bahri, P., Parlevliet, D., (2015), Effect of different light spectra on the growth and productivity of acclimated Nannochloropsis sp (Eustigmatophyceae),	Algal Research: biology, biomass and biofuels, 8, , pages 121 - 127. Creagh, C., Parlevliet, D., (2014), Enhancing Student Engagement in Physics Using Inquiry Oriented Learning Activities,	International Journal of Innovation in Science and Mathematics Education, 22, 1, pages 43 - 56. Parlevliet, D., Moheimani, N., (2014), Efficient conversion of solar energy to biomass and electricity,	Aquatic Biosystems, 10, 4, pages -. Saefurahman, G., Frazer, R., Moheimani, N., Parlevliet, D., Borowitzka, M., (2013), Effect of different light spectra on the growth, productivity and composition of microalgae,	Journal of the Royal Society of Western Australia, 96, , pages 77 -. Moheimani, N., Parlevliet, D., (2013), Sustainable solar energy conversion to chemical and electrical energy,	Renewable & Sustainable Energy Reviews, 27, , pages 494 - 504. Anisuzzaman, M., Parlevliet, D., Calais, M., Djordjevic, S., Pulsford, S., Bruce, A., Passey, R., (2014),PV System Reliability - Preliminary Findings from the PV Module and System Fault Reporting Website,In: Asia Pacific Solar Research Conference 2014. Creagh, C., Parlevliet, D., Lee, G., (2012),A CONSIDERATION OF QUALITY, STANDARDS AND COMPLIANCE,In: Australian Conference on Science and Mathematics Education. Creagh, C., Parlevliet, D., (2011),Teaching External Physics Students,In: Australian Conference on Science and Mathematics Education (ACSME) (2011). 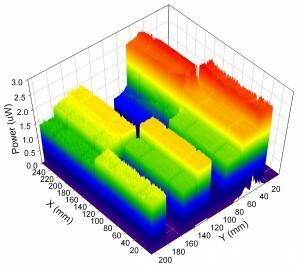 Parlevliet, D., Cornish, J., (2007),Silicon Nanowires: Growth Studies Using PulsedPECVD,In: Materials Research Society (MRS) Spring Meeting (2007). Parlevliet, D., Cornish, J., (2007),Pulsed PECVD Growth of Silicon Nanowires onVarious Substrates,In: Materials Research Society (MRS) Fall Meeting (2007). Parlevliet, D., Cornish, J., (2006),Pulsed PECVD for the growth of silicon nanowires,In: International Conference on Nanoscience and Nanotechnology (ICONN) (2006). Moheimani, N. R., D. Parlevliet, M. P. McHenry, P. A. Bahri and K. de Boer (2015). Past, Present and Future of Microalgae Cultivation Developments. Biomass and Biofuels from Microalgae, Springer International Publishing: 1-18. Parlevliet, D. and N. R. Moheimani (2015). Potential of Converting Solar Energy to Electricity and Chemical Energy. Biomass and Biofuels from Microalgae, Springer International Publishing: 311-329. Al-Taay, H. F., M. A. Mahdi, D. Parlevliet, Z. Hassan and P. Jennings (2014). “Growth and characterization of silicon nanowires catalyzed by Zn metal via Pulsed Plasma-Enhanced Chemical Vapor Deposition.” Superlattices and Microstructures 68: 90-100. Creagh, C. and D. Parlevliet (2014). “Enhancing student engagement in physics using inquiry oriented learning activities.” International Journal of Innovation in Science and Mathematics Education 22(1): 43-56. Djordjevic, S., D. Parlevliet and P. Jennings (2014). “Detectable faults on recently installed solar modules in Western Australia.” Renewable Energy 67: 215-221. Al-Taay, H., M. Mahdi, D. Parlevliet, Z. Hassan and P. Jennings (2013). “Preparation and characterization of silicon nanowires catalyzed by aluminum.” Physica E: Low-dimensional Systems and Nanostructures 48: 21-28. Al-Taay, H., M. Mahdi, D. Parlevliet, Z. Hassan and P. Jennings (2013). “Structural and optical properties of Au-catalyzed SiNWs grown using pulsed plasma-enhanced chemical vapour deposition.” Superlattices and Microstructures 61: 134-145. Al-Taay, H., M. Mahdi, D. Parlevliet and P. Jennings (2013). “Controlling the diameter of silicon nanowires grown using a tin catalyst.” Materials Science in Semiconductor Processing 16(1): 15-22. Jennings, P., Z. T. Jiang, N. M. W. Wyatt, D. Parlevliet, C. Creagh, C. Y. Yin, H. Widjaja and N. Mondinos (2013). “Characterization of silicon nanowires grown on silicon, stainless steel and indium tin oxide substrates.” Applied Physics A: Materials Science and Processing 113(3): 723-728. Moheimani, N. R. and D. Parlevliet (2013). “Sustainable solar energy conversion to chemical and electrical energy.” Renewable and Sustainable Energy Reviews 27: 494-504. Zaman, A., D. Parlevliet, M. Calais, S. Djordjevic, S. Pulsford, A. Bruce and R. Passey (2014). PV System Reliability–Preliminary Findings from the PV Module and System Fault Reporting Website. Asia Pacific Solar Research Conference, Australian PV Institute. Creagh, C. A., D. Parlevliet and G. E. Lee (2012). “A Consideration of quality, standards and compliance.” Proceedings of The Australian Conference on Science and Mathematics Education (formerly UniServe Science Conference). Vadiveloo, A., N. R. Moheimani, J. Cosgrove and D. Parlevliet (2013). “Sustainable use of light for chemical and electrical energy production.” Journal of the Royal Society of Western Australia(96): 75. Saefurahman, G., R. Frazer, N. R. Moheimani and D. Parlevliet (2013). “Effect of different light spectra on the growth, productivity and composition of microalgae.” Journal of the Royal Society of Western Australia(96): 77. Parlevliet, D., C. Creagh, B. Hartley and M. Zadnik (2013). “A Survey of Western Australian AIP Members.